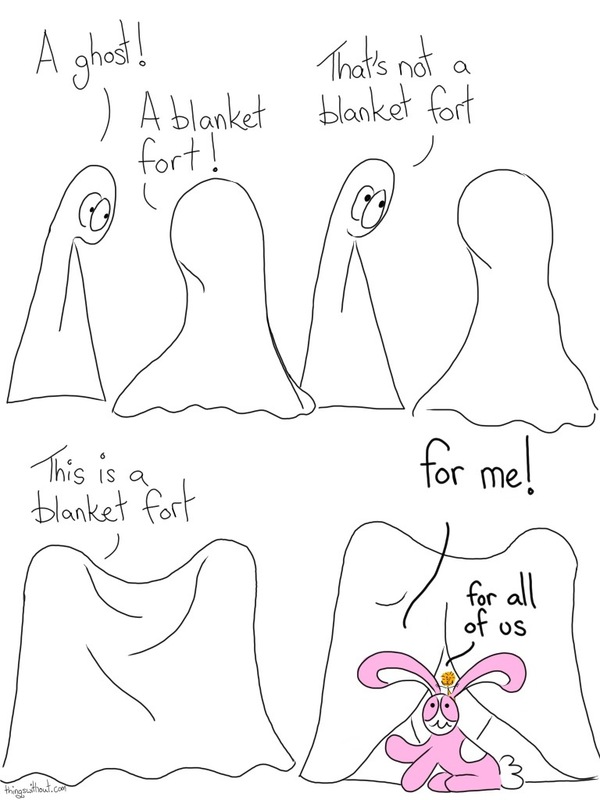 We liked what you wrote about blanket forts and it inspired this comic. If you would ever like to come visit there is space in our blanket fort for you and your friends. Thank you for your nice letters and drawings.